When the weather starts to warm, I like to be outside more and my food choices change. Now I want more fresh vegetables and less heavier foods. Fruits and vegetables make up the bulk of my meals, especially during the spring and summer months, and healthy smoothies are made almost daily. I don’t usually eat corn. Once a year, in the spring, I buy four ears of corn and that’s it for the year. Corn is such a huge GMO crop, and I’m pretty sure the corn sold where I shop is not organic. Notice the lack of bun. I’m going back to limiting grain intake substantially, because I always seem to gain weight back so quickly when I eat pastas and breads. The vegetables on the cheeseburger plate are all organic, and oh-so tasty! The cheese is all-natural. I don’t eat cheese often, either. I feel like it is also a contributing factor when I gain weight, so I’m back to limiting it. The ketchup I use is organic. The parsley is organic, and I dried it at home and keep it in a canning jar. I’m using coconut butter more often than not, rather than regular butter. I find it brings out the natural flavors of different foods, and is far healthier. Melt a tablespoon of coconut oil in a skillet over medium-high heat. Form 1/4th pound of ground beef into a patty, and place it in the hot skillet. While this is cooking, I flip it four times. After I’ve flipped it three times, I grind a little salt and pepper over the patty, then add a little of each powder. Place the fresh spinach at the center of a plate and top with the cucumber slices and pickles. Chop the carrots, and place those and the remaining vegetables around the plate. After flipping the patties for the last time, I repeat step 3, then sprinkle the dried parsley over the top. Turn the burner off, and place the cheese over the patty. When the cheese is melted, place the cheeseburger on the spinach, cucumber slices, and pickles. Add ketchup to the burger. Fill a small pot half way with water. Break the corn in two, and place in the pot. When the burger is done, the corn should be hot enough to eat. Place the corn on a plate, and spread a little coconut oil over each half. Pour a little almond milk in the bottom of the cup. Place the spinach in the cup. Add the mixed frozen fruit up to the fill line. Fill the cup to the fill line with more almond milk. Cover and blend about 10 seconds. Let sit a few seconds and blend another 10 seconds. Let sit again, then blend again until well mixed. 10 to 20 seconds, usually. Buy organic when possible, but don’t feel guilty when you can’t. My meat, corn, and fruit was not organic. It is too expensive for me to eat all organic foods, so I simply do the best I can. You’re still going to be eating better than when you buy mostly processed foods. I have a very limited budget for groceries, but I make the best choices I can. Mix up the vegetables. Use whatever is affordable when you shop for this meal. Change the frozen fruit mix once-in-a-while. This was a delicious meal, and I’m planning to have it for lunch tomorrow as well. I love cookbooks, and used to have a nice collection of them before I moved and had to downsize. I loved those old cookbooks, but they didn’t necessarily include many recipes that I would now consider healthy. I love that I was able to add the No Excuses Detox: 100 Recipes to Help You Eat Healthy Every Day by Megan Gilmore (author of Everyday Detox) to my newly started cookbook collection. I want cookbooks that fall in line with my desire to eat healthier, and this book does just that. We are all so busy these days, and it is often difficult to find the time for meal planning, shopping, and preparing foods for a healthy lifestyle. Megan shows how you can accomplish this by including shopping lists, meal plans, recipes, and even make-ahead tips. One of my favorite things about this book, besides the recipes, is that it tells you how to prepare healthy meals in a less toxic way. We’re all aware of the pesticides in so many food items and the BPA-lined cans, and how these things are not good for us. I want to get away from that kind of thing as much as possible, and Megan helps us with this by discussing how to avoid things like preservatives, toxic packaging, and chemical dyes. This is not detox in the sense that you do it for 30 or 60 days and then you’re finished. What Megan hopes is that we will follow her lead and eat whole foods year round. Organic, fresh foods have wonderful flavor, and are so good for you. By reducing your consumption of processed and refined foods, you’ll really be doing good things for your body and your mind. This book is about making changes that will last a lifetime. It is imperative that we feed our bodies in a healthy way regularly, not only for a month or two at a time. 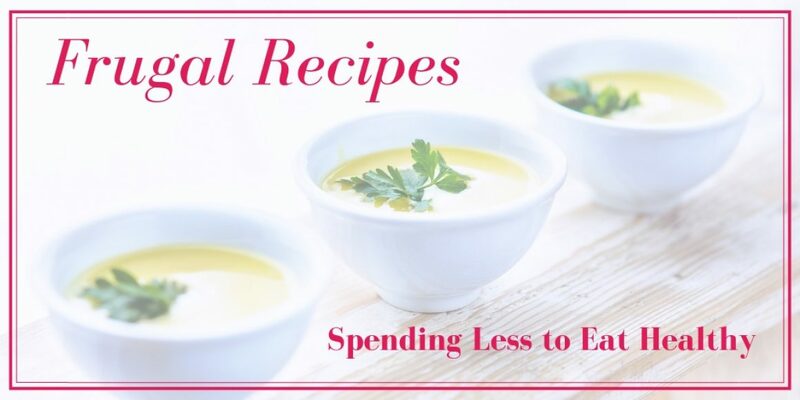 The recipes in Megan’s book take into consideration a number of factors, including price, speed, and convenience, that will help to make meal prep easy. No Excuses Detox guides you through the process of beginning this healthy lifestyle by discussing concerns such as time, expense, picky eaters, and cravings. I love that she covers eating on-the-go! Even on my days off from work, I’m gone part of the day. It’s far easier to eat healthy if I’m prepared for each day as it comes. Another feature I like is the discussion of freezer planning. Having foods prepared and frozen is a good way to save money. Simply take something out of the freezer the night before if you know you’ll have a busy day. That way, you wont have to order out. This book also mentions freezing in single-serve portions, which is great for me because I live alone. Megan’s No Excuses Meal Plans are wonderful. Choose the speedy plan, the beginner’s plan, or the one for the budget-minded (my favorite!). Use them for menu planning and shopping. Each plan tells which recipes can be made ahead for easier meal prep. She even provides useful information at the end of the book. That is where you’ll find nutritional information for each recipe, handy conversion charts, and a list of other resources to help you along the way. I tried four of the recipes in this book to prepare for writing this review. I wanted to be able to say that the foods could be made with minimal effort and time, and that the finished recipes are tasty. Also, I needed to be able to do it on a budget. My treat for this venture? Almond butter. The first time I’ve had it. It is good, but a little outside my budget. $6.99 a jar, and I needed two. I’m hoping to find other sources that don’t cost as much. I did, however, find two coupons for a dollar off, so I paid $5.99 per jar. I’ve wanted to learn how to make refrigerator pickles for some time, so I took this opportunity to make the Quick Bread and Butter Pickles. I love bread and butter pickles. I don’t know what I was thinking all the years. I guess I thought it would be too time-consuming to make them. But it really wasn’t, and the finished product is delicious. They sat in my refrigerator a couple of days before I tried them, and then I brought them to work to test out on a coworker. She also loved them. I made two quarts, and the recipe says they’ll last a month. Then I wanted snacks for work. I decided to make the Nut-Free Gingerbread Granola next. The prep for this takes no time at all, but the bake time is a little long. I was able to do other things while waiting, as I was preparing meals for my weekend at work. The granola is very good. I used it top my banana cereal, and I put some in a container to have for snacks at work. And the Chewy Vegan Ginger Cookies are simply wonderful. I’ll be making these at the holidays. I tried them out on a coworker as well, and she loved them as much as I do. I then made the 5-Minute Freezer Fudge, and it is so rich and chocolatey. I’m planning to make it again at the holidays so I can try it out on my family. My mother and I were discussing the need for healthier alternatives to all the sweets we usually have at the get-together. This might be a winner! I’d like to share a few recipes from the cookbook with you, so you can try them out before buying No Excuses Detox. I know you’ll be pleased. If I were asked what my “last supper” would be, this deep-dish chocolate chip cookie would make the cut. It’s warm and gooey right out of the oven and tastes unbelievably decadent when topped with a scoop of Creamy Vanilla Ice Cream (page 178). No one will believe this delight is made without white flour or sugar! 1 Preheat the oven to 350°F and generously grease a 10-inch cast-iron skillet with coconut oil. 2 In a large bowl, combine the ground chia seeds and water and stir well to combine. Allow the mixture to sit for a few minutes to thicken. 3 At this point, stir any separated oil back into your store-bought cashew butter. Add the cashew butter, coconut sugar, vanilla, baking soda, and salt to the chia mixture and stir well to form a thick and sticky dough. Fold in the chocolate chips. 4 Transfer the cookie dough to the prepared skillet. Wet your hands with water (to prevent them from sticking to the dough) and press the dough evenly into the bottom of the skillet. 5 Bake for about 20 minutes, until lightly golden around the edges. Remove the pan from the oven and let the cookie rest for 30 minutes before slicing and serving. The hotter the cookie, the more soft and difficult it is to cut, although either way, it’s delicious. Store leftovers in an airtight container in the refrigerator for up to 2 weeks or in the freezer for up to 6 months. NOTE: For this recipe, I always use store-bought roasted cashew butter rather than my usual raw homemade version. Since this cookie is baked in a hot oven anyway, I think it’s a waste of money to use expensive raw cashew butter, when the roasted variety is cheaper and more readily available. The store-bought option usually contains a bit of added oil and salt, so this recipe accounts for that. If you happen to find a brand with no added salt, increase the salt in this recipe to ½ teaspoon. Credit: Reprinted with permission from No Excuses Detox, copyright © 2017 by Megan Gilmore, published by Ten Speed Press, an imprint of Penguin Random House LLC. If you tend to crave that popular party mix, you are going to love this grain-free version. It tastes surprisingly similar to the kind made with rice cereal and is incredibly easy to prepare using any nuts or seeds you have on hand. Because this crispy mix can be stored at room temperature, it also makes a great snack on the go! Feel free to double the recipe because it will go fast. The International Agency for Research on Cancer considers acrylamide to be a “probable human carcinogen,” since it has been found to cause cancer in laboratory animals. This chemical is not added to food but is created naturally when certain foods are roasted, fried, or baked, particularly fries, potato chips, coffee, almonds, crackers, and bread. It is nearly impossible to avoid this chemical altogether, since it occurs naturally in a wide range of plant foods and animal products, but you can limit your exposure by using safer cooking methods, such as steaming and boiling, cooking susceptible foods at lower temperatures, and avoiding meats, vegetables, and starches that are darkly browned or charred. You’ll notice that all of the recipes in this book that call for heating raw nuts are kept to temperatures of 250°F or lower to avoid browning and to reduce the potential formation of acrylamide. This oil-free dressing is a great alternative to traditional creamy dressings because it’s allergy-friendly and loaded with calcium, thanks to the use of raw tahini, a paste made from raw sesame seeds. It’s hard to beat the flavor of fresh herbs in this recipe, but feel free to replace them with dried herbs if they are easier to find. When using dried herbs, be sure to reduce the amount you use by two-thirds, as their flavor is much more concentrated than the fresh variety. In general, 1 teaspoon of dried herbs is equivalent to 1 tablespoon of fresh herbs. You can taste as you go. Keep this creamy dressing on hand all week long for an easy ranchlike salad or quick veggie dip. In a blender or food processor, combine all of the ingredients and blend until smooth and creamy. (Depending on the thickness of your tahini, you may want to add an additional 1 to 2 tablespoons water to help make the dressing more pourable.) Taste and adjust any seasoning. Serve immediately, or allow the dressing to chill in the refrigerator until ready to use. It will thicken a bit when chilled, making a thick dressing or veggie dip, but you can easily thin it out with additional water or lemon juice, as desired. Store leftovers in the refrigerator for up to 1 week. enjoy the recipes, and No Excuses Detox! I sure did. Megan has a nice writing style, and provides useful information. I know I’ll be trying more of the recipes. I’m happy I got to check the book out and provide a review. Visit Megan’s site at Detoxinista.com. Have you read this book yet? Feel free to share links to your reviews, or tell us what you thought of the book or a recipe. Note: The links in this article are not affiliate ones. Bring in a drawer/cupboard unit, three high. This will take up only about the same space lengthwise and depth-wise as the old two-tier shelf that I’m using, will provide two long drawers for plates, bowls, utensils, etc., and two cupboards for the slow cookers, personal blender, and hand mixer. The toaster oven will still fit on top, and I’ll gain overall space for these items. ADDED BONUS: Everything will be hidden from view, making the area look better. Bring in a cabinet for food storage. I wanted to have the pantry in the closet, but it isn’t really going to work for me. I need the closet for storage, at least for a while. After I’m done going through and organizing the rest of the things I need to bring to my room, I’ll maybe be able to make the closet pantry work. This cabinet can not be very deep, because of where it needs to stand, but it should work just fine. Buy a new dorm size fridge; one that has the freezer door separate from the refrigerator door. The freezer in the existing ancient dorm fridge does not work well, and is too small. With a new, slightly bigger freezer, I’ll be able to do more, batch cooking of healthy foods (in small increments), freeze smoothie packs, and/or buy meats and other things on sale and freeze for later. It’s not as much space as I’d like, but will work better for me than the current one. Eating healthy is so important, and I’m trying to learn the most frugal ways to pull this off to share with you. I feel so much better and have far more energy when I’m eating healthy. It’s well worth a little extra expense; I just can’t go overboard with those expenses. I was recently inspired by Leesa mattress to share my tips on being healthy in this new year. I’ve never used one of their mattresses, but they do look comfortable. They are challenging everyone to maintain an active, healthy lifestyle outside the gym and kitchen this year. I thought about it and decided I’d love to do that for you. There is more to being healthy than preparing and eating healthy foods. Nutrition is only part of being healthy. I want myself and my readers to be healthy in a more well-rounded way, so I thought this article and graphic would be great for the blog. Are you a morning person? I’m extending my healthy behaviors to encompass all the parts of my life. I already enjoy a cup of chamomile tea while relaxing with a movie or a book in the evening. Go to bed when I’m tired. If I try to go to bed any earlier, my mind goes into overdrive and I’m up most of the night thinking. Am I the only one? I wake up naturally; and this has helped a great deal with how I feel throughout the day. I make sure to drink a glass of room temperature, filtered water, with a squeeze of real lemon. I do a routine of yoga, meditation, and stretching. I journal, then flip through a magazine or do a little reading. I practice the art of positive thinking. I walk. At least three times a week this time of year, but almost daily during good weather. Right now I’m doing a plank/squat/hand weight challenge. I’ll maybe find another challenge when I’m done with this one. I’m trying really hard to allow myself to take breaks. A few minutes here, a day there. A weekend once in a while. A personal retreat does wonders, and it is so important to get out and do things. I call these mental health days. I try to get at least two partial vacations in a year. I visit my daughters, one per vacation. My favorite times are with my daughters and my grandson. As a matter-of-fact, I’ll be visiting with Skye in Fort Kent next month. I’m taking six days off from work. In a row. I am so proud of myself! As you can see, I’m incorporating a lot of healthy habits into my routine, and keeping many old ones. Nutritional, physical, and mental health are all so important, and they work together to keep a person healthy and motivated. What healthy routines do you have?